Today marks the 10th anniversary of the Macworld 2008 keynote where Steve Jobs introduced the MacBook Air. At just three pounds, it was a full two pounds lighter than the 13-inch MacBook, which was still wrapped in white or black plastic at the time. It was also thinner than the MacBook. Despite the weight savings, Apple didn't skimp on what Jobs said were the fundamentals: a large screen and a full-sized keyboard. In this case, the screen was the same 13.3-inches found on the MacBook coupled with a full-sized, backlit keyboard and the first trackpad with support for a wide range of multitouch gestures, including panning through collections of images with three fingers and pinch to zoom. All SKUs of the original MacBook Air came with 2 GB of RAM, which was soldered to the logic board. The base model shipped with a 4,200-RPM hard drive straight out of an iPod. This led to the MacBook Air feeling slower than other Macs of the era. A 64 GB SSD option was available for a whopping $999. The CPU used was a custom Core2Duo developed by Intel to use a much smaller package than the standard CPU. In fact, during his keynote, Jobs invited Intel CEO Paul Otellini on stage to discuss the company's close relationship and the work that went into the product. 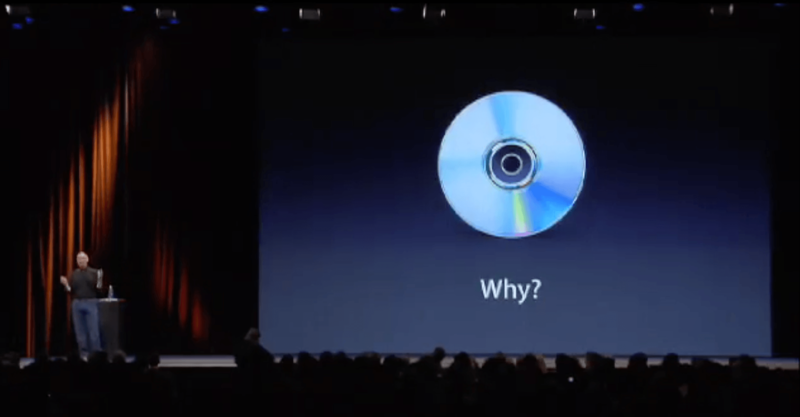 In hindsight, it was clear that Apple was building toward a world without optical drives for some time. The media components of this plan were obvious, but the Time Capsule wasn't introduced until this very keynote. However, backing up to USB drives had already become habit for millions of Mac users. Remote Disc was all-new as well. 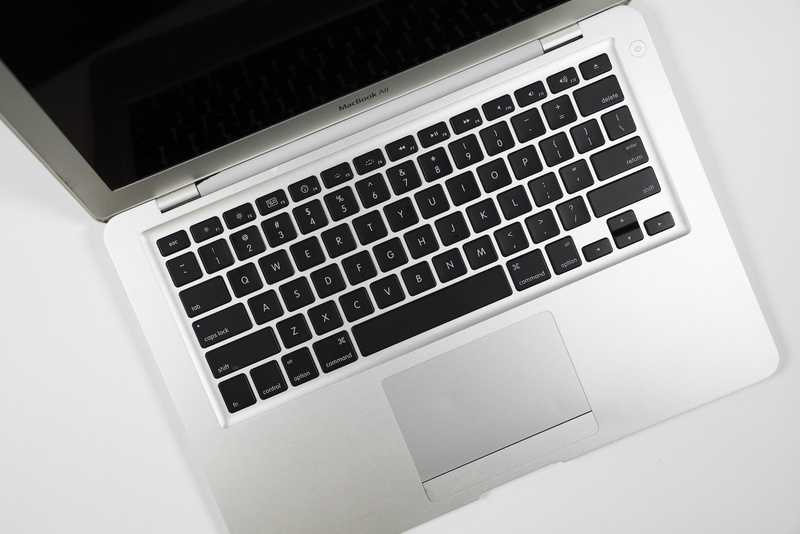 It was software that allowed the MacBook Air to access the optical drives of Macs and PCs on its local network. It still ships as part of macOS today. All of this technology made the MacBook Air possible, and while Jobs said it did so without compromises, that wasn't quite true in the long run. Apple offered a more expensive model at $3,098 with a 1.8 GHz Core2Duo and the aforementioned SSD. The CPU and hard drive being slower than what was in the cheaper MacBook made the Air a frustrating experience for many users. While the hard drive had a lot to do with it, the Intel Core2Duo at the heart of the thin notebook had a nasty habit of shutting off one of its two cores when the machine got hot. This meant that a user would experience tremendous slowdowns right as they were pushing their laptops the hardest. Savvy users discovered CoolBook, a Mac utility that allowed the user to change the frequency and voltage of the processor to stave off core shutdowns. 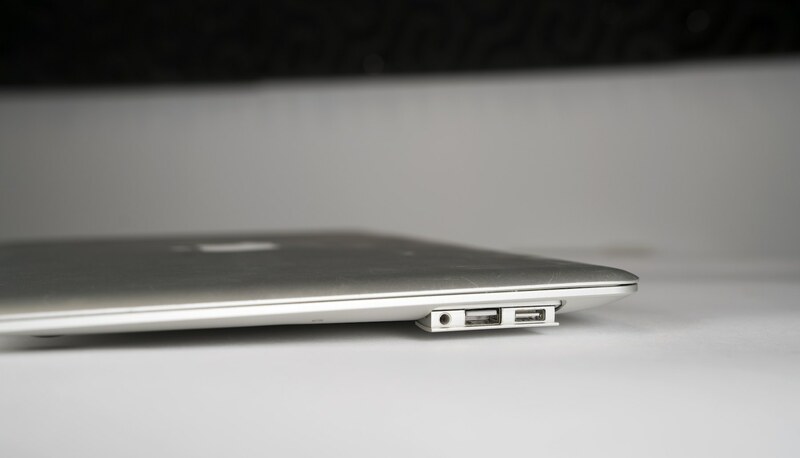 Apple eventually addressed this problem with a firmware update, but by that point, the MacBook Air had developed a reputation for being both expensive and slow. Apple revved the MacBook Air in late 2008 to include better graphics (including MiniDisplayPort support!) and a faster bus, but the CPUs and RAM stayed the same. It wasn't until June 2009 that the machine got a third bump that included faster CPUs. In 2010, Apple relaunched the MacBook Air. It very quickly went from an expensive, slow notebook to the company's mainstream portable. The 11.6 and 13-inch MacBook Airs enjoyed massive popularity, and didn't suffer from the performance issues that plagued the first design. These machines only used SSDs, and offered a much wider variety of I/O. Today, the MacBook Air exists to hit a price point that the 12-inch MacBook can't quite reach yet. It may be on its way out the door, but the Air's qualities have spread across Apple's entire notebook line. 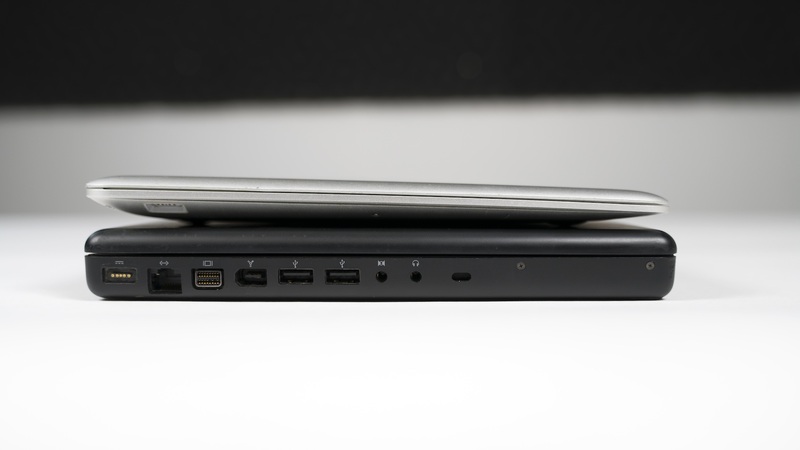 The MacBook Pro has slowly shed weight and thickness, while the MacBook beat the Air at its own game. We owe a lot to this laptop, even if the first revision wasn't all that great of a computer.